The Subaru WRX is a very well-known car in the JDM culture and is highly sought out for. One of the most highly anticipated products to be released are these Subaru WRX JDM LED Daytime Running Light for the 2015-up Subaru WRX. When you get this car in Japan, they come stock with this type of LED Daytime Running Light but sadly in other markets, we don’t get it as well. 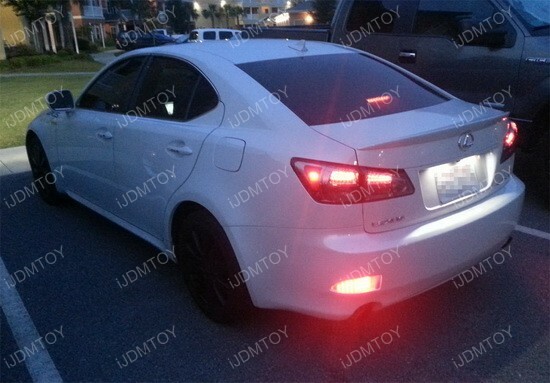 These Lexus IS LED bumper reflectors are a nifty way to add some more unique spice to your car without going overboard. They are showy enough, but not to the point of being too overly powerful. The red LED lights serves as an alert for people around you so they can notice you more and react accordingly. The choice of red or clear smoked has a whopping 33 pieces of LED lights for the ultimate illumination. The OEM replacement LED License Plate Lamp is carefully created with high quality 18 pieces of SMD LED lights that are way brighter than their stock versions. 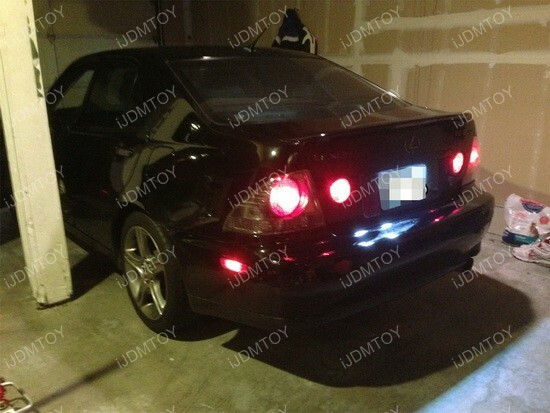 This super high power license plate lamp directly replaces the OEM license plate lamps to give you a much brighter look that it’s almost unbelievable. The xenon white color is a punchy burst of bright color that’s just leagues above that stock light that’s barely visible, even in the dark. The even illumination makes sure that your license plate looks great entirely so you wouldn’t have to worry about any part of the license plate holder looking spotty. It’s a given that everyone who owns a bike treats it with the utmost care and wants only the best for it to keep it in the shape possible. This RGB LED lighting kit is a great way to spice up your bike with all sorts of color accents that is sure to make it a one-of-a-kind! 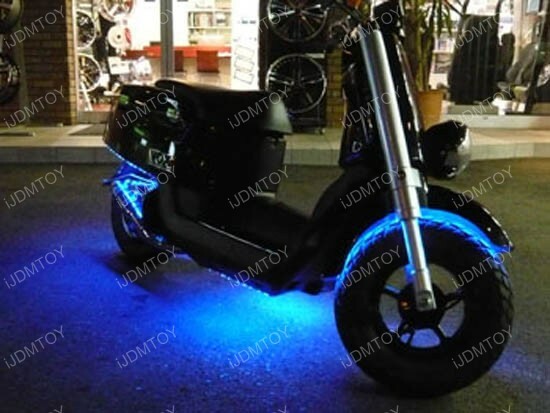 The LED ground effect lighting kit contains a whopping 4 pieces of 12 inches, 9 pieces of 3-emitter SMD waterproof LED strips, a cool remote control, and a LED lighting control module so you can customize your motorcycle however you want. The patterns and color combinations are virtually endless so you can choose between the on/off, flashing, and sound active patterns. The waterproof LED strips allow you to use this product as an exterior add-on without worrying about damage from the weather.